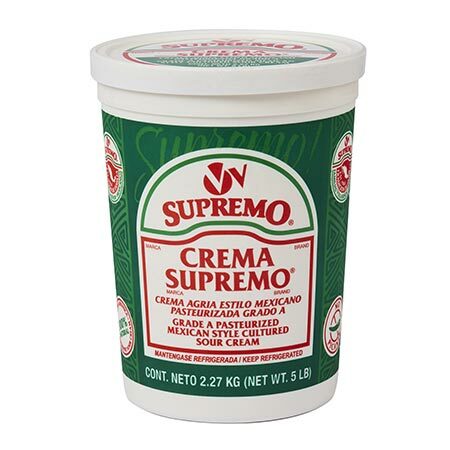 Our crema is crafted the old-fashioned way, relying solely on natural cultures for unique flavor, and smooth silky texture. 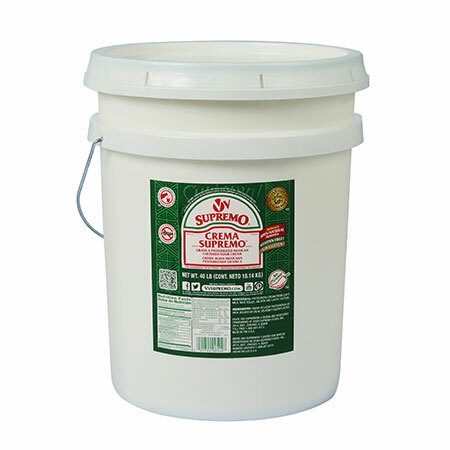 This product is appropriate for any menu item requiring sour cream, and will not break down under heat, making it perfect for a variety of cooking and garnishing applications. Always natural, our crema is free of added artificial rGBH hormones. 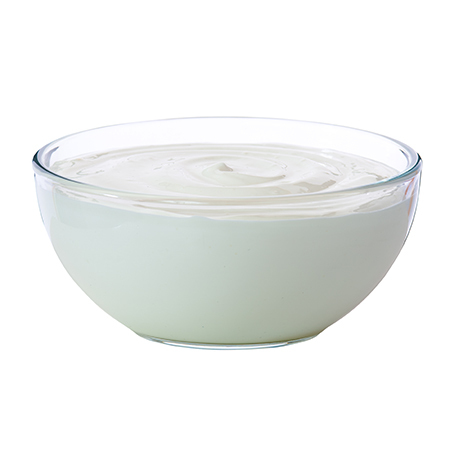 FLAVOR PROFILE: Fresh dairy flavor with slight tang from natural cultures. CHARACTER & TEXTURE: Smooth, silky, pourable when stirred. SUGGESTED APPLICATIONS: Use on everything from tacos, to baked potatoes, and fresh fruit. Ideal ingredient for sauces and soups; will not separate when heated. Create signature salad dressings. Perfect for baked items ranging from pasta to cakes.